Just a couple of short weeks ago, those who wanted to get in on some early Warface action would have been overjoyed by the arrival of a number of Early Access packs for the game. But while they would have indeed allowed players to enjoy the first person shooting action immediately, they weren’t cheap options to take. 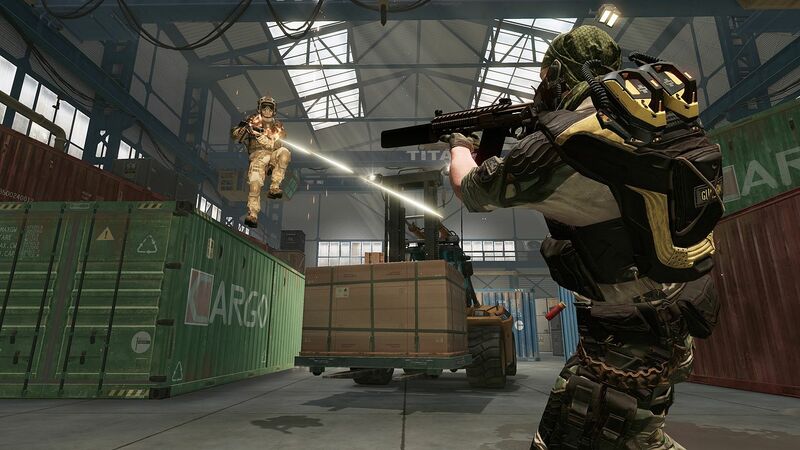 Now though it’s time for Warface to really hit the masses, with the Free-to-play option kicking on. Available right now on Xbox One, Warface is the latest F2P shooter that is attempting to drag Xbox gamers on to the battlefield. Many will be familiar with the setup – after all Warface has millions of fans around the world and a previous Xbox 360 release would have allowed the Xbox masses to get a little taster – but basically put, if you like your shooters, wish to show off your skills with multiple classes, hundred of weapons and equipment additions, or hide out forever more in some camo gear, then the option is now available. Dozens of maps will ensure the fight is a long one and whether you are down with the exiciting PVE missions, or prefer to run the PVP course matters little… all you need to worry about is that Warface is here and it’s free to play! As always, with any free game that arrives, there are a number of additional packs that will be able to enhance your experience – and these come at a price. The Rifleman Starter Pack, the Handgun Pack, the Engineer Starter Pack, the Medic Starter Pack and the Sniper Starter Pack are all now available to buy from the Xbox Store. There is also the Collector’s Starter Pack too – and whilst this may well come in at £52.49, it promises to satisfy the needs of even the most hardened war veterans. Don’t forget to let us know if you’ll be dipping a toe into the world of Warface on Xbox One. We certainly are and we’ll have a full review for you very soon. Warface is a contemporary first person shooter with millions of fans around the world. Four unique classes with special skills, teamwork, exciting PVE missions and raids, various PVP modes, hundreds of realistic weapons, modules, equipment and camo items. Play for free! PVP. A range of modes with dozens of maps – from time proven classics to fresh experiments as well as the elaborated system of ranked matches await its heroes! PVE. Play with your friends in short exciting PVE missions or try yourselves in full-scale raids with several difficulty levels. Teamwork. Four classes with unique skills. Assault the defenses of your enemies with a heavy machinegun, revive your teammates, mine the corridors or take down the foes with precise shots – here you decide how to act! Plenty of rewards and trophies. Hundreds of achievements with interesting and unusual obtain conditions. Can you collect them all?